India is the world's second largest producer of sugar after Brazil. The top seven producers in the world contribute to 60% of the total sugar production, whereas the top three producers (Brazil, India & EU) contribution stands at 40% of the total production. The size of the world sugar market is approximately around Rs 20,000 Crores, with India's share being 13.6% in the year 2012-13 and 15.6 % in the previous year 2011-12. We are in fact the highest consumer of sugar in the world and the fifth largest exporter of sugar in the world after Brazil, Thailand, Australia, etc. Despite having a significant position in the world sugar market and the largest area under sugarcane cultivation, we have a very poor yield per hectare which in turn leads to low productivity and a short supply to the sugar factories. In addition to that a short crushing period combined with a fluctuating production trends creates financial crisis in the Industry. This has induced a need to promote quality practices to increase the overall productivity and efficiency. Traditionally the farmers used to travel long distances all the way to the factory for inquiring about their sugarcane crop. During the crushing period, which normally lasts 4-5 months in a year, the factory runs 24x7; there has been a lot of wastage in terms of the resources allocated for cane support as there was always a long queue of farmers outside the sugar factory awaiting answers to their queries and complaints. Conveying any information to the farmer has traditionally been much disorganized. AMITY has taken into account these drawbacks and provided a solution by initiating Kisaan.net www.kisaan.net. 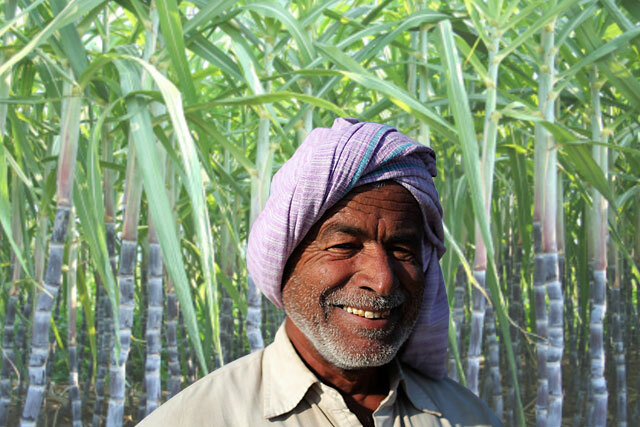 www.kisaan.net is a unique initiative of AMITY for sugarcane farmers. This web portal provides up-to-date information about farmer's sugarcane crop, harvest schedules, supplies, and payments. Farmer uses www.kisaan.net either using his mobile phone or using an Internet enabled computer. The data is retrieved directly from sugar factory's server in real time as & when a farmer accesses his information. 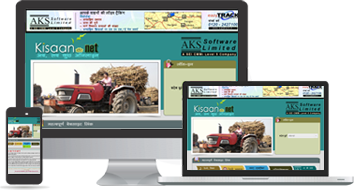 Kisaan.net www.kisaan.net was initiated in the year 2011 for serving a few thousand sugarcane farmers of Uttar Pradesh. Today, more than 6 million farmers and 70+ sugar factories of India use Kisaan.net www.kisaan.net . Further, we have designed similar farmer web portals for the farmers of other countries. Kisaan.net www.kisaan.net has revolutionized the way farmers access their data from their homes, using cellphone or a computer. Gone are the days when farmers had to cover long distances to travel to factory offices and queue up there so as to know their information. What a transformation! For the past 25+ years, AMITY has been striving towards excellence in providing all crop related information to Farmers as well as to the Sugar Factories. AMITY are pioneers and have many firsts to their credit, including introduction of computerized Sugarcane Indents and Cane Receipts. Internet helps in providing instant information and also keeps people informed giving them a fair idea about the market. There is an enhanced need to analyze & research demands of customers visiting online for satisfying their needs. Kisaan.net www.kisaan.net has used this brilliant medium of communication in helping transform the lives by bridging the distance between the farmer and factory. Now you can view www.kisaan.net on your PC, Tablet and even on Android mobile phone.